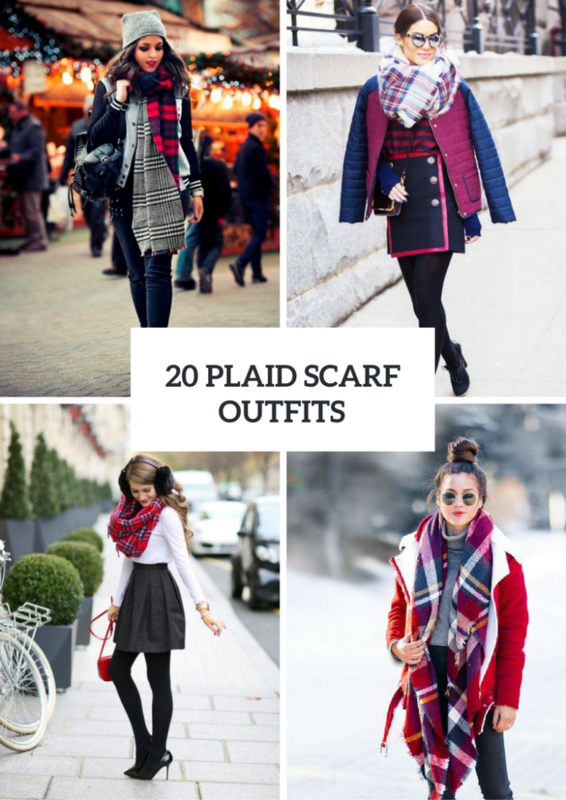 A plaid scarf is a universal accessory, for sure! You can add it to any outfit from sporty to elegant ones. That’s why so many girls choose this type of scarves every winter season and create incredible looks with them. 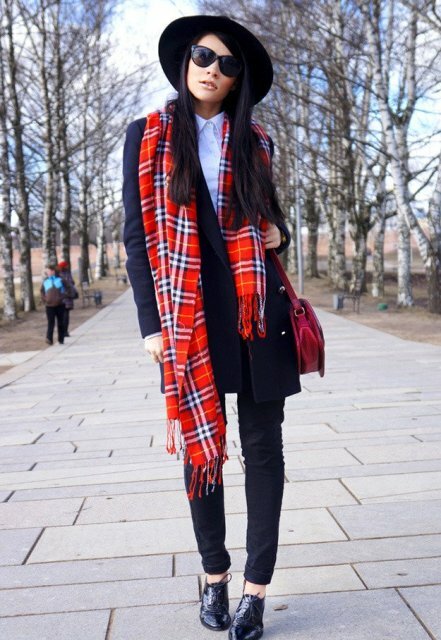 If you already have or want to buy a plaid scarf, but still don’t know how you can combine it, we’re ready to help you. Below you can see various ideas of wearing a such scarf and some fashion tips how to make your outfit unique and fabulous. Get inspired! 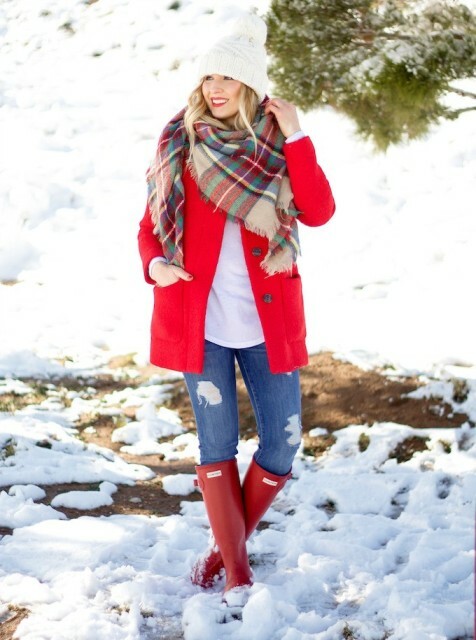 To make casual or travel outfits you can combine a plaid scarf with a red parka with a fur hood, white pants, brown ankle heeled or flat boots and a white pom pom beanie. 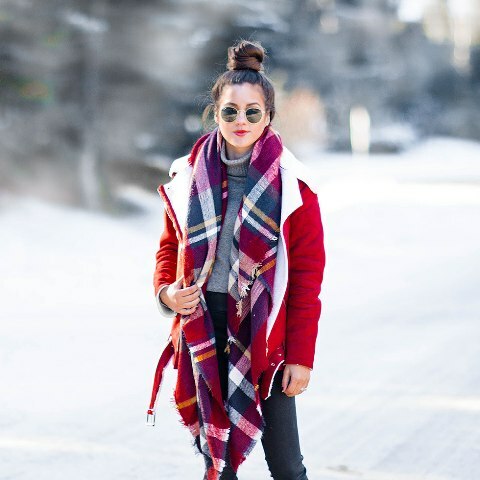 I’m sure you know that shearling jackets and coats are very popular among fashionistas this season, so you can take a colorful shearing jacket and pair it with an oversized scarf, a gray turtleneck and skinny jeans. 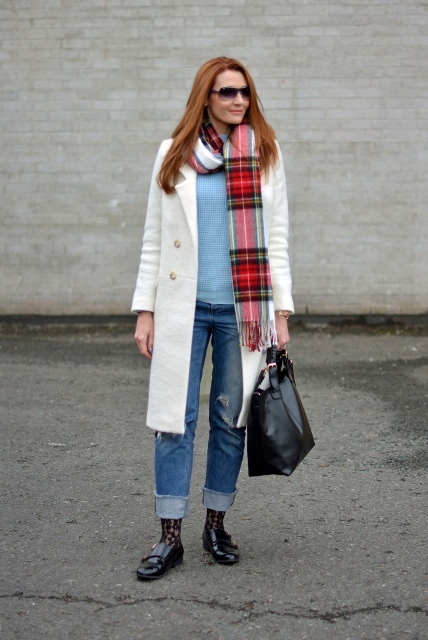 One more cool and interesting idea is to wear two plaid scarves at the same time. 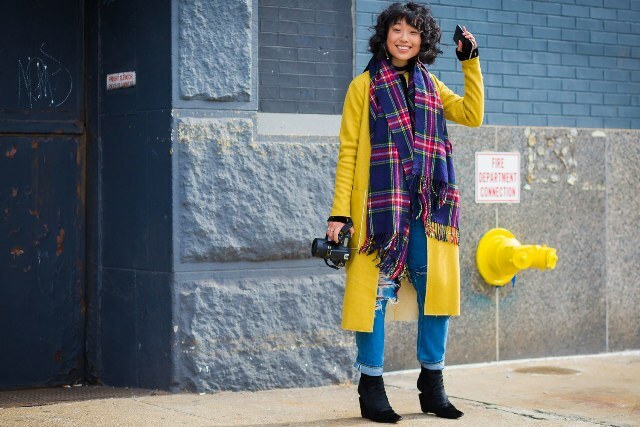 For example, you can mix a varsity jacket (or any bomber jackets) with blue jeans, black ankle boots, a gray beanie, a black leather backpack, a black and white plaid scarf and a red and purple one. To create an elegant but modern outfit you can combine a striped shirt, a wrap mini skirt, black tights, ankle boots, a purple puffer jacket with blue sleeves and a mini crossbody bag. For cold days choose a black maxi dress, black maxi coat, leather flat boots, a black backpack, a bright colored plaid scarf and a fur hat. 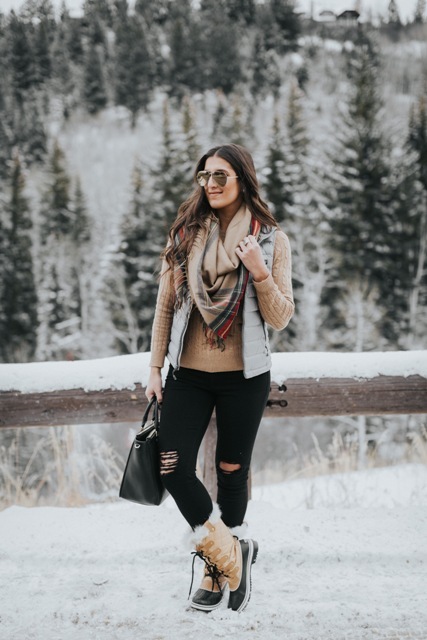 As you know a plaid print looks perfect with denim and leather clothes, so you can pair a black leather jacket with a denim mini skirt, black tights, leather mid calf boots, a leather bag and a red and green scarf.